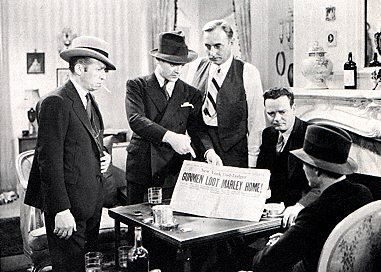 This film originally called "the Finger Man" had Cagney playing a fired movie usher who turns to crime. 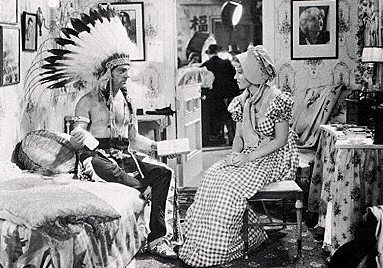 After hiding out in Hollywood he gets a small part as a Indian chief. The screenplay by Ben Markson was an early attempt by Hollywood to satirize itself. 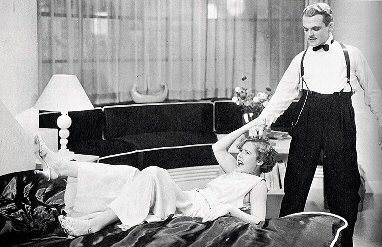 Mae Clarke again found herself roughed up by Cagney,being dragged of bed by her hair. Roy Del Ruth kept the pace quick and funny. "Skillfully mixing farce, satire and melodrama and affording Mr. Cagney a role in which he is thoroughly at home, this Lady Killer turns out to be a sprightly, more or less daring,thoroughly entertaining film the best Mr. Cagney has made in some time"